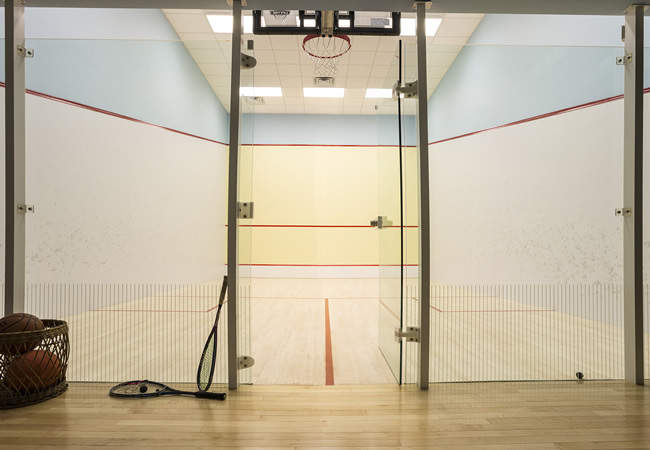 When one of our residential clients asked us, “Have you ever designed a Squash Court?”, we replied that we had not. Instead of being discouraged with his residential architect he said, “Well you're about to. I know you can do it!” And so we did. 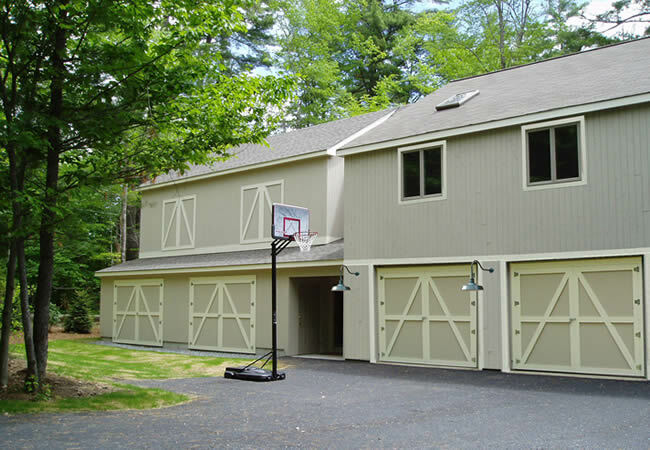 The squash court building is attached to an existing residential garage and made to look like a barn on the exterior. The tolerances of the building structure for the interior pre-manufactured court wall panels was one quarter of an inch, which left no room for error on the architects (or builders) end. 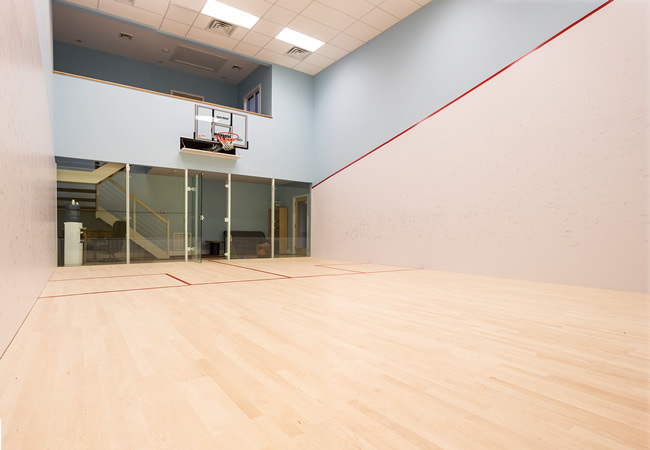 The finished court is a combined squash court and basketball court, at the owner's request. With a push of a button, the basketball net retracts back into the wall during the serious squash games.